Many couples travel to Asheville and the mountains of North Carolina for an elopement or a small wedding celebration with a few friends or family members. It's the perfect place to elope. Since we have so many public lands such as national and state parks and forest, nature provides the ultimate setting and decoration! Having a simple wedding means there is more time for exploring. Photo by Meghan Rolfe. 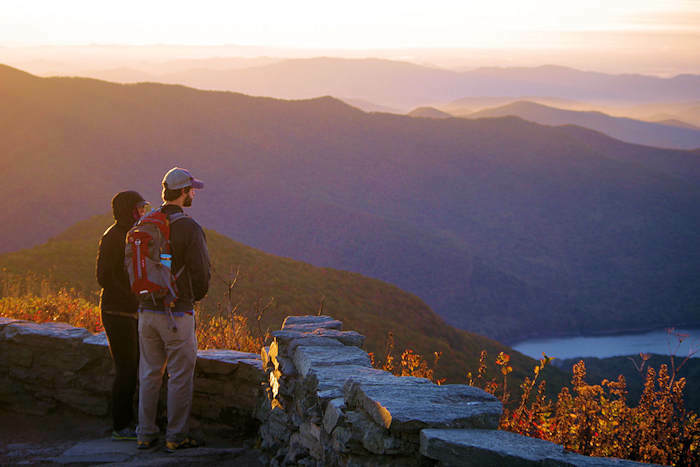 Weddings and elopements with 25 people or less are allowed along the Blue Ridge Parkway with a permit (application fee of $60 and permit fee $40). There are many places, ranging from waterfalls to mountaintops, but none are private. So you may have some extra onlookers. The permit covers two hours for a ceremony - no receptions. Permits are not issued for federal holidays or the month of October (busiest month due to fall color). Keep it simple: no live plants, no releasing of doves/butterflies, no birdseed/rice throwing, no open flames, no decorating with ribbons, no balloons, no alcoholic beverages. 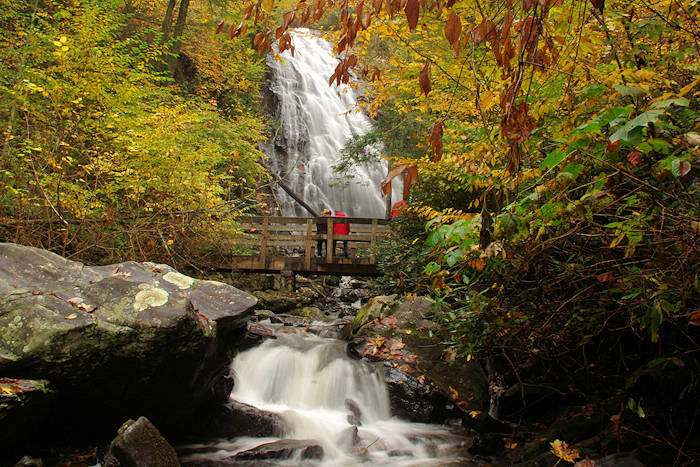 For ideas, see our Top 50 Parkway Stops near Asheville. 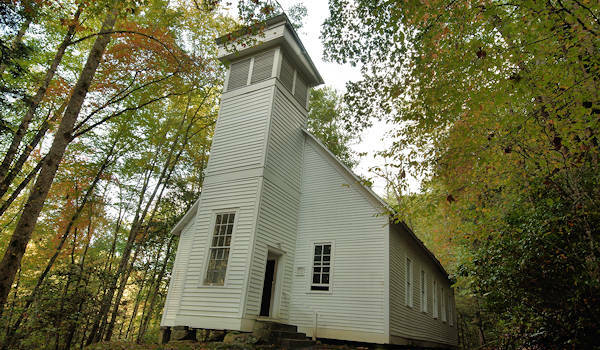 No weddings allowed at busiest spots such as Waterrock Knob, Graveyard Fields and Devil's Courthouse. Go to the Blue Ridge Parkway website for Wedding Policies & Permit. Elope on the private grounds of America’s largest home and get access to the entire estate for photos! Their Elopement Package includes luxurious overnight accommodations for the couple at the Inn on Biltmore and up to 12 chairs for guests. Biltmore’s wedding team books elopements within 90 days of the big day. You can add on special experiences like a carriage ride, special tours of the house and a romantic dinner. Go to their website. The beautiful setting of gardens and natural areas has an elopement package for 10 or less guests. It includes one hour at a wedding site, table, folding chairs setup, free parking, event coordinator, bridal room, and one year membership. $500 for Sunday-Thursday dates and $1,000 for Friday or Saturday. Go to their Website for more. A Special Activity Permit is required, but it's only $35. Call the state park office first for best locations and their procedures. Create romantic memories of your big day on a mountain peak, by a waterfall or even at a brewery. Elopement and small wedding packages suit your personal style with custom vows, a short video of the ceremony, beer or champagne, photography, commemorative gifts and more. Getting married made easy near downtown Asheville with your choice of indoor or outdoor ceremony, photography, officiant, bouquet, two-tier wedding cake, two night stay in a luxury suite, gourmet breakfast, concierge service and more. Up to 6 guests for ceremony. Excludes holidays & October. Marriage Licenses are issued during business hours (8 AM-5 PM) at the Buncombe County Register of Deeds Office at 205 College Street, Asheville. Arrive by 4:30 PM. For more info, call 828-250-4301. Once you obtain a marriage license, marriages can be performed by a civil magistrate on the 2nd floor of the Buncombe County Courthouse (60 Court Plaza, Asheville). The magistrate is generally available on weekdays at 8:30 AM and 4 PM. However, this is not always the case, so it is advisable to call the magistrate’s office before arriving to ensure that he will be available. The fee is $20, payable in cash only. For more information, call the magistrate’s office at 828-259-3407. You will need two witnesses. 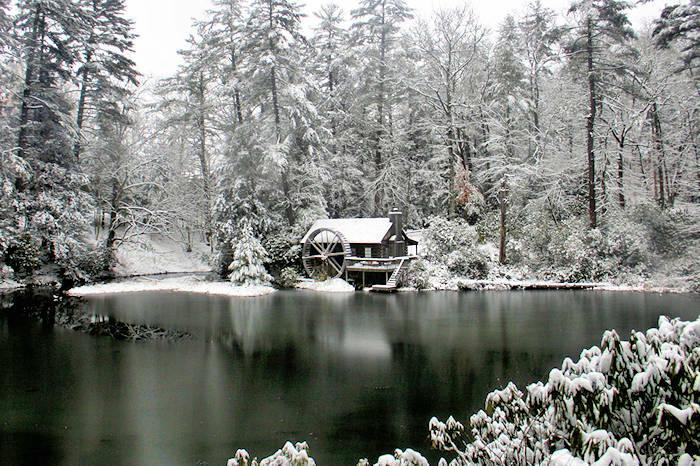 For larger shindigs, see our Top 30 Asheville Wedding Venues.